Kevin Smith Transportation Group is a Luxury Transportation company that services the entire Greater Philadelphia, PA area. KSTG delivers services daily in Bucks, Chester, Delaware, Towamencin and Philadelphia counties. This includes more than 300 cities, towns, boroughs and Morelands across the area. One of the places a KSTG vehicle will regularly service is Towamencin Township, PA.
Kevin Smith Transportation Group delivers both Leisure and Corporate Transportation services in Towamencin Township, PA. KSTG’s Leisure division will often be seen sending out a Wedding Limo or Wedding Shuttle on most weekends. Service requests for a Limo or Party Bus for a Night on the Town or a trip to Philadelphia, PA for a concert or show is very common and popular for those who live in Towamencin Township, PA. The exciting requests for a Party Bus to the Manhattan Cruise Terminal or a night out at the casinos makes for a great night. If you are fortunate enough to work for one of the amazing companies in Towamencin Township, PA, then you may require the services of Kevin Smith Transportation Group and our Corporate Transportation division. Airport Transportation is a common service request with Philadelphia International Airport (PHL) located so close to Towamencin Township, PA. However, with nearly a dozen International Airports in the Mid-Atlantic area, many companies will utilize KSTG’s services for Airport Transportation to Newark International (EWR), Kennedy Airport (JFK) or other points north or south of the Philadelphia, PA area. Other Corporate Transportation services that Kevin Smith Transportation Group offers companies in Towamencin Township, PA include Shuttle Services. This may be needed for moving employees to local SEPTA stations for both their morning commute and returning home in the evening. KSTH Sprinters and Mini Buses are popular vehicles for this service. Some companies, with offices or clients around the country, often have employees traveling through local FBO’s. When Private Aviation is utilized, KSTG Cadillac XTS’s and Black Yukon’s are often seen transferring employees from their offices in Towamencin Township, PA to those local FBO’s including Northeast Philadelphia Airport, Doylestown Airport and Wings Field. Many companies in Towamencin Township, PA have been pushed by their Senior Management or Counsel’s office to follow strict Duty of Care requirements with their employees. This means that the days of using an unregulated Black Car Service for Corporate Transportation services is no longer allowed. For Kevin Smith Transportation Group, this means that our Black Car Service division, including our fleet of Cadillac XTS’s, Black Yukons and Black Infiniti’s, are regular visitors to Towamencin Township, PA.
Towamencin Township, PA is a township in Montgomery County, PA. The population is estimated at 17,578. It is part of the North Penn School District and the North Penn Valley region that is centered around the borough of Lansdale. 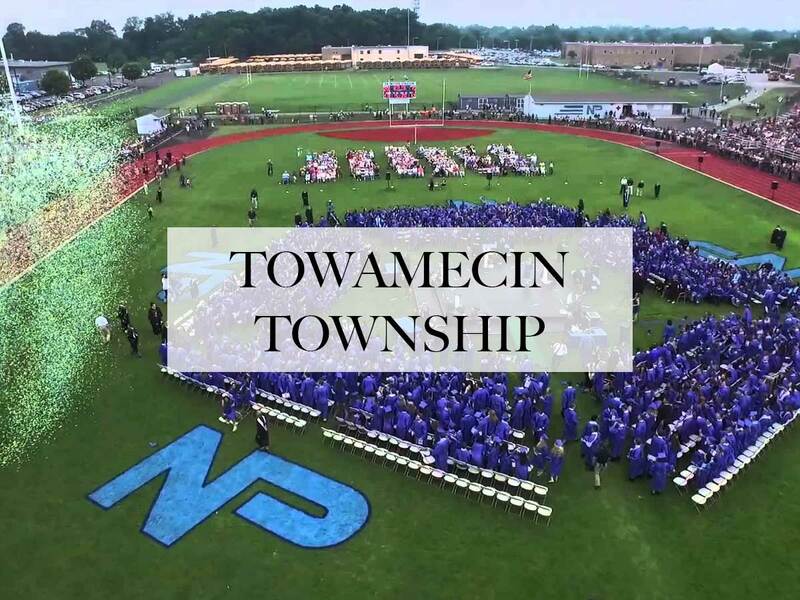 Towamencin Township, PA has residential neighborhoods, historic farmhouses, recreational facilities, many schools, and open spaces. The community is a mix of residential, commercial and rural development. The Township is centrally located in the middle of Montgomery County with easy access to the Pennsylvania Turnpike’s Northeast Extension. The first settlers, of German, Welsh, and Dutch descent, arrived in Towamencin Township around the turn of the 18th century. They mainly pursued agricultural endeavors to sustain their livelihood. The first grant of land in Towamencin Township was in 1703 from William Penn‘s Commissioners to Benjamin Furley on June 8. The Commissioners granted 1,000 acres to him. On June 17 of that same year, Abraham Tennis and Jan Lucken bought the property from him, and then divided the land in half in 1709. The Edward Morgan Log House stands on land that was part of 600 acres granted to Griffith Jones by the Commissioners. Edward Morgan purchased 309 acres of this land, which included an existing “dwelling house”, from Griffith Jones on February 26, 1708. In 1720, his daughter Sarah, who in 1734 would give birth to the famous frontiersman Daniel Boone, married Squire Boone. The land containing the house was then deeded to John Morgan, son of Edward, on August 23, 1723 as part of a 104-acre tract. In March 1728 the settlers of the area petitioned William Penn‘s Commissioners for Towamencin to become a Township. The request was granted and a charter given. The land was surveyed and recorded, outlining the boundaries of the Township, known as Antioch. Those boundaries are similar to what they are today. In the enumeration of 1734 there were 32 landholders within the Township, with William Tennis having the most area at 250 acres. Pennsylvania is known as the Keystone State for its role in the Revolution, and as one of the oldest settlements during the time, Towamencin Township played a part. The Township had encampments of soldiers, had many citizens that served, and was the retreating place for General Washington and his troops after the Battle of Germantown. The Continental Army troops were in Towamencin from October 8, 1777 to October 16, 1777 and camped in the Northern section of the Township. The Township provided a secure area to rest, without fear of surprise attack by the British. Washington commandeered Frederick Wampole’s house to establish his quarters and conducted military duties from there. The house was located on Detwiler Road. General Francis Nash was wounded at the Battle of Germantown and was carried from Germantown to Towamencin. He was cared for at the Mennonite Meeting House along with other wounded men of the Battle of Germantown. He died two days later and is buried there. The entire team at Kevin Smith Transportation Group is proud of our partnership with every company, venue and person from Towamencin Township, PA who chooses KSTG as their #1 Transportation Company. We believe our priorities around luxury helps us deliver our services for everything from a once in a lifetime Wedding celebration to supporting our Corporate clients who require use of our Shuttles and Sprinters for a company event. With Towamencin Township, PA and KSTG working together, we are confident KSTG vehicles will continue to support the entire area for years to come.